Happy Monday! 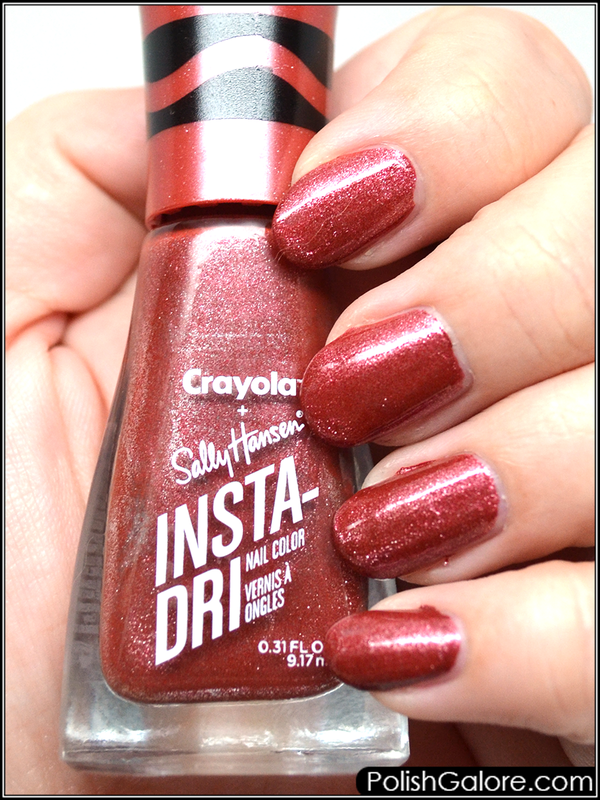 Today I'm bringing back the Sally Hansen x Crayola newest collection with Big Dip O'Ruby, a sparkly true red. 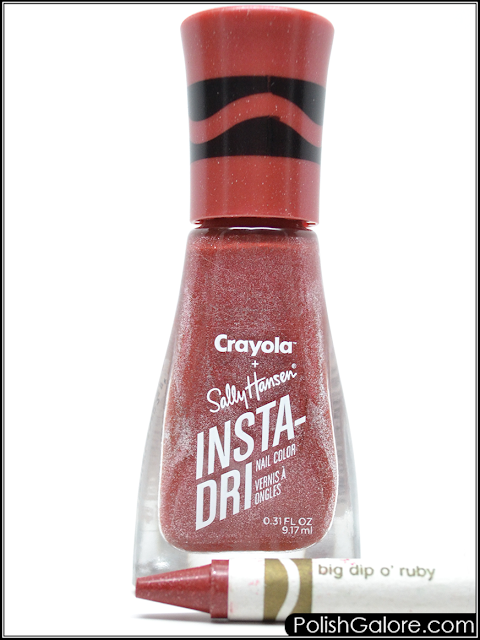 These are from the Insta-Dri Glam Rock collection. I completely forgot that this is a 3 in 1 formula with a built in base and top coat and started with Morgan Taylor react MAX Optical Brightener, one coat of polish and finished with Glisten & Glow top coat. I was quite impressed that this was fully opaque in one coat. A tiny bit of pooling in my ring finger but otherwise excellent. My nails are way too long right now but I'm waiting on a package of thermal polish that I really want long nails for so I've been hesitating. The formula was super smooth and looked very metallic chic.